The Lynkis Formation of Triassic age lies conformably on the Lyons Formation. 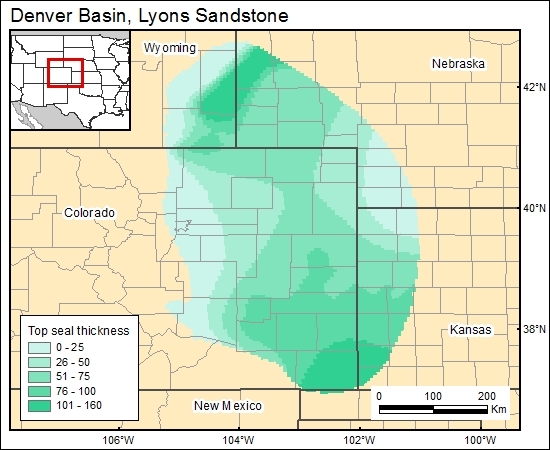 The gridded isopach map of the Lynkis Formation shows thickness that ranges from 250 to 500 ft (c7lyons). The Lynkis Formation is composed of red shale and siltstone, evaporite, and carbonate. The digitized map comes from the Geological Atlas of the Rocky Mountain Region (1972).